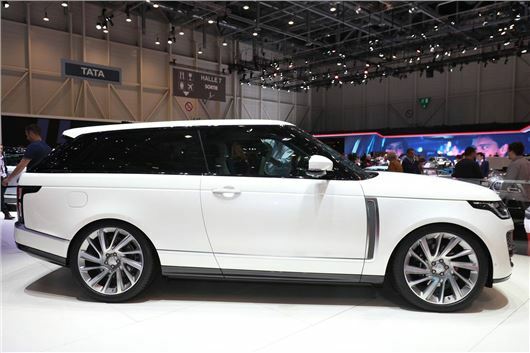 Land Rover has made the 'difficult decision' to scrap the luxury two-door coupe version of the Range Rover. The Range Rover SV Coupe was the carmaker's showpiece at the Geneva Motor Show 2018 and intended to celebrate 70 years of Land Rover, with each being hand-made and limited to just 999 vehicles. A rival to the Bentley Bentayga and Lamborghini Urus, the Range Rover SV Coupe would have been the firm's most expensive model to date with a starting price of £240,000. It featured a 5.0-litre supercharged petrol engine producing 565PS, giving it a 0-62mph time of 5.3 seconds and a top speed of 165mph. In a statement, a Land Rover spokesperson said: “We have taken the difficult decision to inform our customers that the Range Rover SV Coupe will not proceed into production. Instead, Land Rover is focusing its resources and investment on the next generation of world-class products. "With exciting plans for electrification, enhanced craftsmanship, innovation and technology we are working to ensure that we continue to offer our customers a choice of world leading SUVs." Land Rover has refused to say how many orders were placed for the Range Rover SV Coupe, but the news comes shortly after it announced 4500 redundancies as part of a plan to save £2.5 billion over the next 18 months. Land Rover registrations fell by 5.74 per cent in the UK during 2018 - but it's in declining markets such as China and the USA where the British firm has been hardest hit. The manufacturer will also be focussing its efforts on the new Defender, which is finally set to arrive later in 2019. The new Range Rover Evoque, revealed recently, is also likely to be a strong seller for the brand - while updates of the Discovery Sport could also give the firm's sales figures a much needed boost. The penny finnaly drops...3 years late. Over priced.. it is "only" an expensive Range Rover and looks like one. £240,000, I'll have a Bentaygaga please, not so many on the roads. Maybe the money saved would be better spent on customer services, existing and new build quality issues and updating their Ingenium engine family..
Could be the Ingenium diesel problem will be solved by the new floorpan in the new Evoque and forthcoming revamped LandRover Discovery Sport. If that allows the DPF to be close-coupled to the cylinder head, then the DPFs will heat up sufficiently to passively regenerate and the problems from locating the DPFs under the cars will be over (for the new cars).